Two new reports on Russia's widespread online influence campaign detail how purported Russian trolls used social media to target with laser-like precision the African-American vote ahead of the 2016 presidential election, and then continued to sow social and political discord in the U.S. in the months after President Donald Trump was elected. The reports, prepared for the Senate Intelligence Committee by outside researchers at Oxford University and the social network analysis firm Graphika, as well as the cybersecurity firm New Knowledge with input from researchers at Columbia University and Canfield Research, are the result of the analysis of millions of social media engagements. They provide some of the most detailed views yet of the purported influence campaign by Russia's St. Petersburg-based troll factory known as the Internet Research Agency (IRA). In February, special counsel Robert Mueller accused the IRA, along with two other business entities and 13 Russian nationals, of conspiring to interfere in the presidential election. The IRA is alleged to have employed dozens of Russians whose job was to create hundreds of fake American personas online to broadly inflame divisions in American society and undermine democratic institutions, and more specifically damage Hillary Clinton's presidential campaign. The new reports say the effort spread to just about every popular social media platform. Among the findings, New Knowledge's report says that the Russians "created an expansive cross-platform media mirage targeting the Black community, which shared and cross-promoted authentic Black media to create an immersive influence ecosystem." For example, New Knowledge identified a "Black Matters" campaign that the IRA ran like a "midsized media 'brand,'" with its own dedicated Facebook pages, Twitter account, Instagram account, YouTube videos, Tumblr page, Google ads, Facebook ads and even an associated SoundCloud account. That "brand," however, was just part of a larger online network where it was intertwined with other IRA content targeting African-Americans as well as legitimate African-American-focused pages and accounts. "The degree of integration into authentic Black community media was not replicated in the otherwise Right-leaning or otherwise Left-leaning content," the report says. The reports also conclude that rather than slacking off after the 2016 election was over, the online influence operations increased "substantially," including a 2017 shift to Instagram that saw in total nearly 200 million "engagements" on the photo-sharing social media platform. "Instagram engagement outperformed Facebook, which may indicate its strength as a tool in image-centric memetic (meme) warfare. Alternately, it is possible that the IRA's Instagram engagement was the result of click farms; a few of the provided accounts reference what appears to be a live engagement farm," the New Knowledge report says. "Our assessment is that Instagram is likely to be a key battleground on an ongoing basis." Ben Nimmo, an information defense fellow at the Atlantic Council's Digital Forensic Research Lab, told ABC News that Instagram is "tailor-made for hashtag propaganda." "It's also tailor-made for non-English speakers. A meme, a hashtag, that's all you need," he said. Senate Intelligence Committee Chairman Richard Burr, R-N.C., said the newly released data "demonstrates how aggressively Russia sought to divide Americans by race, religion and ideology, and how the IRA actively worked to erode trust in our democratic institutions." "Most troublingly, it shows that these activities have not stopped," Burr said. "This should stand as a wake-up call to us all that none of us are immune from this threat, and it is time to get serious in addressing this challenge." A spokesperson for Facebook, which owns Instagram, told ABC News they had not seen the two new reports, but said, "As we've said all along, Congress and the intelligence community are best placed to use the information we and others provide to determine the political motivations of actors like the Internet Research Agency. We continue to fully cooperate with officials investigating the IRA's activity on Facebook and Instagram around the 2016 election." "We've provided thousands of ads and pieces of content to the Senate Select Committee on Intelligence for review and shared information with the public about what we found," the spokesperson said. "Since then, we've made progress in helping prevent interference on our platforms during elections, strengthened our policies against voter suppression ahead of the 2018 midterms, and funded independent research on the impact of social media on democracy." A spokesperson for Twitter told ABC News that the company has made "significant strides since 2016 to counter manipulation of our service," including the disclosure of data related to Russia's influence operation for independent study. 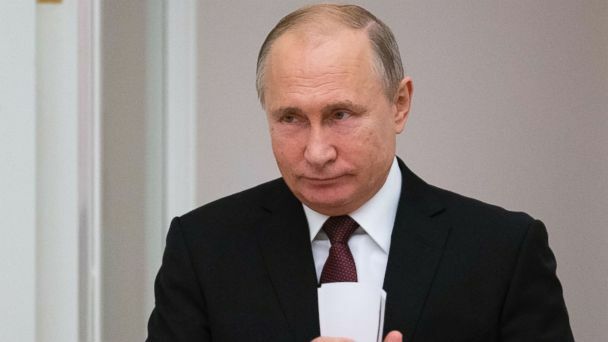 After the 2016 election, the U.S. intelligence community announced that Russia attempted to interfere in the election at the direction of Russian leadership. The intelligence community did not measure how much the campaign affected the outcome of the election - if at all - and it remains an open, controversial and potentially "unknowable" question.